Summer is the perfect time to tackle your long list of home renovations. Get the job done, and get it done right with help from our Manning Town Centre retailers. Whether it’s installing gutter protection or repairing cracks in your driveway, make sure your home is winter-proof with help from Canadian Tire in Manning Town Centre. They offer a wide array of exterior repair and maintenance supplies for every need! It might be a little too late for patio furniture this summer, but that doesn’t mean you can’t think ahead to next summer. 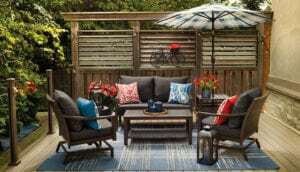 Lowe’s in Manning Town Centre is your destination for patio furniture, with the latest in gazebos, fire pits, deck boxes, and benches. Your cabin needs upkeep too. Make sure it’s in tip-top shape for your weekend and summer excursions with Cabela’s in Manning Town Centre. 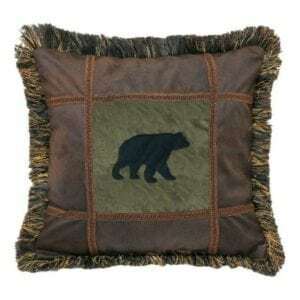 From cabin decor to cookware to comforters, Cabela’s will help your cabin feel as if you never left home.